It can be complicated to really know in which countries an invention is protected. Going through the list of publications is far from enough, since some countries do not publish any documents. For instance, several major countries such as France, the UK, Italy, Sweden, Belgium, Luxembourg or the Netherlands do not republish patents going through the European (EP) route. Germany seems to be increasingly embracing this approach. Therefore, it is necessary to go through the legal status information of each European country to check whether the invention is actually protected there. The process is laborious, time-consuming and inefficient. Questel has therefore created a new high value-added field that allows you to see at a glance, for a patent family which is alive, the list of countries where the patent rights are either pending or granted. 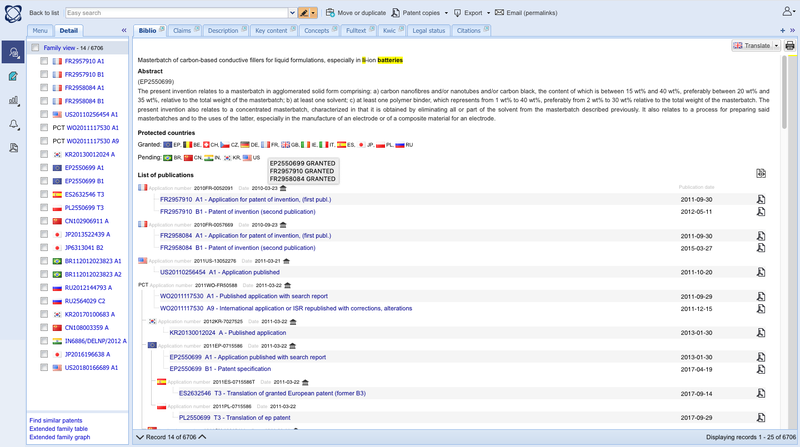 This field, called "Protected countries", is available in the preview and biblio tabs. 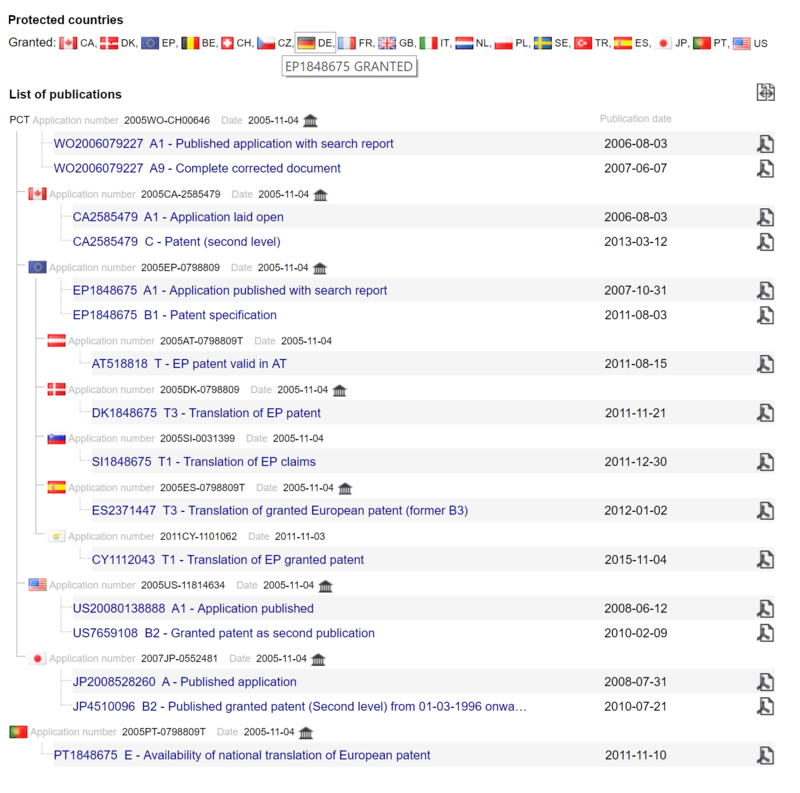 The new “Protected Countries” field provides this critical piece of information at a glance, and when you mouse over each country’s flag you’ll see the list of patent numbers which are associated with the patent rights in that country. 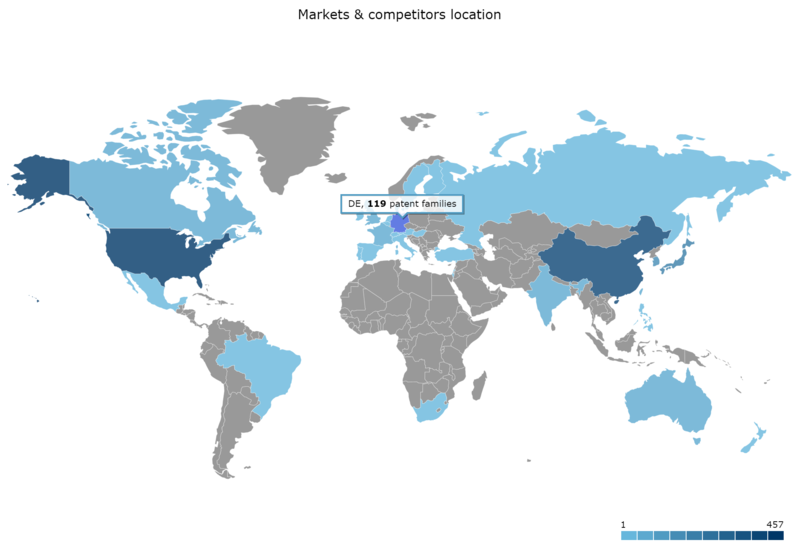 There can be multiple patent numbers per country; for instance there might be a national patent and European patent or just simply multiple national patent covering the same country. 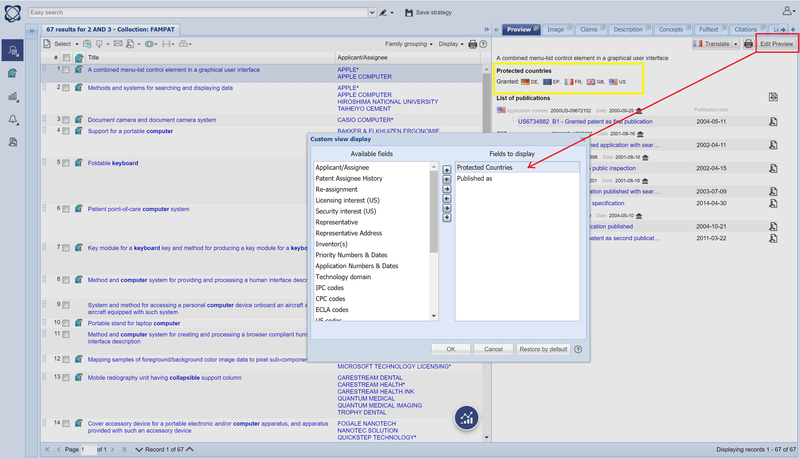 Orbit Intelligence also allows you to analyze by protection country. 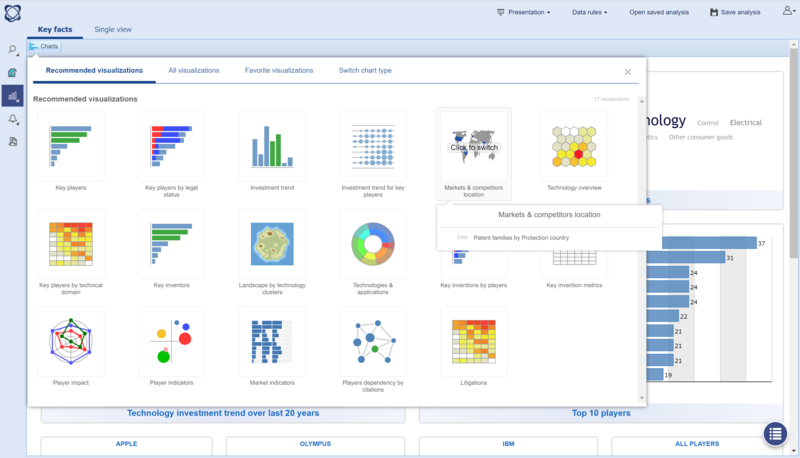 To analyze by protection country, select the "Market & competitors location" graph from the Recommended visualizations menu or select the field from the Settings menu.